OK, so illness leads to boredom, boredom leads to cupboard sorting, cupboard sorting leads to retro computing fun! (apparently). 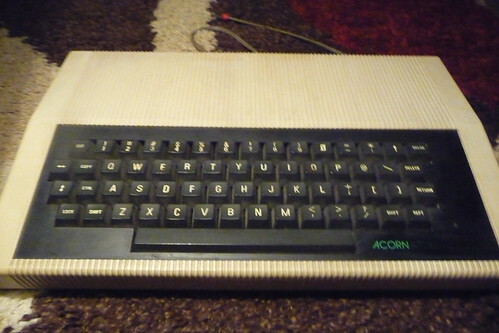 This is an Acorn Atom, produced circa 1980. 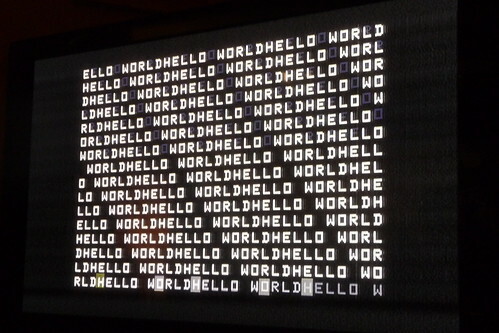 It was the precursor to the Acorn Proton (Better known to you and me as the BBC Micro). This was my very first computer, and after 20+ years of storage (most of that in my parents loft) – it still works! 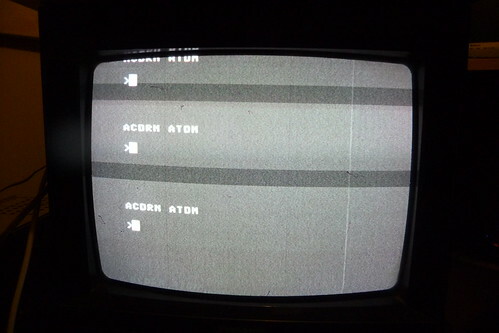 As you can see, resurrecting the beast wasn’t without hitch, however this problem turned out to be down to the portable TV I had it hooked up doesn’t seem to like the frequency the Atom uses for it’s UHF output. This was worked around by plugging it into my Plasma TV instead! !